Happy Mother’s Day! Today is a day to honor and shower with MORE love our Mom’s (because really, every day is Mother’s Day). Those that cared for us, birthed us, encouraged us, selfishly gave their time and have done WAY more than we could ever imagine. I want to, take a moment to acknowledge a different type of “mom”, one who gives her time, energy and love to children not her own. There are many women out there that selfishly give their time and energy to “mother” the kids around them. They spend hours investing, encouraging and believing in the children. I am talking about mentors, teachers, youth workers, nannies, foster parents, women that take in family members kids or kids off the streets, etc. I was reminded today that I am a “mother”. It’s hard to think that, as I am single and not even close to having my own biological children. Sometimes on Mother’s Day, my heart does ache a little, wondering when God will bring me a husband so that we can start a family together. I have a mother’s heart and tend to many youth’s hearts in the city that I live in. I sometimes refer to them as “my kids” and people look at me and say “You have kids? !”, to I reply, yes …about 200 of them. 😉 My sister also mentors and disciples youth, one of my good friends mentors her students and loves on them and I have a friend who took in a kid who was her friend’s. All of us, are at some level, a mom. Today I want to honor us that are single and not biological mothers. You are a MOTHER to someone one. There is a kid out there that looks up to you and knows that you care for them deeply. You care and protect like a mother. Thank You, Thank You to all women who have selfishly spent their time on children not their own. Today is a day for you too. It really does take a whole village to raise a child. A few weeks ago the Lord gave me a prophetic word/picture of a Bow & Arrow for a friend, but the more I sat on it the more I realized the word was for me (and maybe others!). “I got a picture of a bow and arrow. 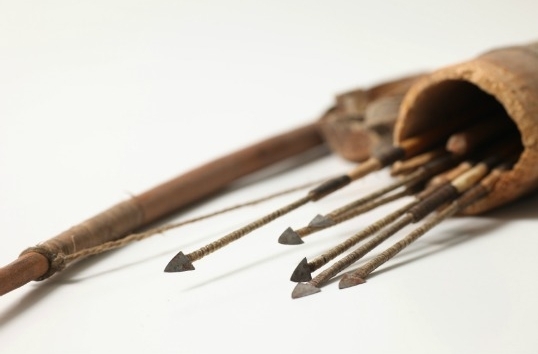 The focus was on the bow and the tension that was being created the arrow was pulled back. Sometimes in life it may feel that we are going backwards, when really God is getting ready to launch us forward. There will be tension, adjusting/waiting, and needed focus to be launched forward to the goal of what God has next in our life”. As I shared this with a few other people, they were feeling the same. The tension, the feeling like they were going backwards instead of moving forward, the waiting while things were being adjusted. I have a choice here, to believe that my life is going backwards and good things are not going to happen OR I GET to choose to believe that God is setting me up. Setting me up to launch me right on target (and on time). It’s not always easy… actually it can be a struggle, BUT I am choosing to believe, to embrace the process (the preparation), the tension, the waiting and see where God launches me to the beauty of “what’s next”. I just recently started looking through old journals and found this lil’ entry from August 18, 2007. “This summer when I was at camp, we went up to Inspiration Point to watch the moonrise (one of my favorite things to do!). I did my research and thought the moon was going to raise at a specific time (that I found from the US Navy Observatory website) but the moon ended up rising a lot later then I had expected (around 30-40 minutes later). Instead of enjoy the extra time with the people I was with. 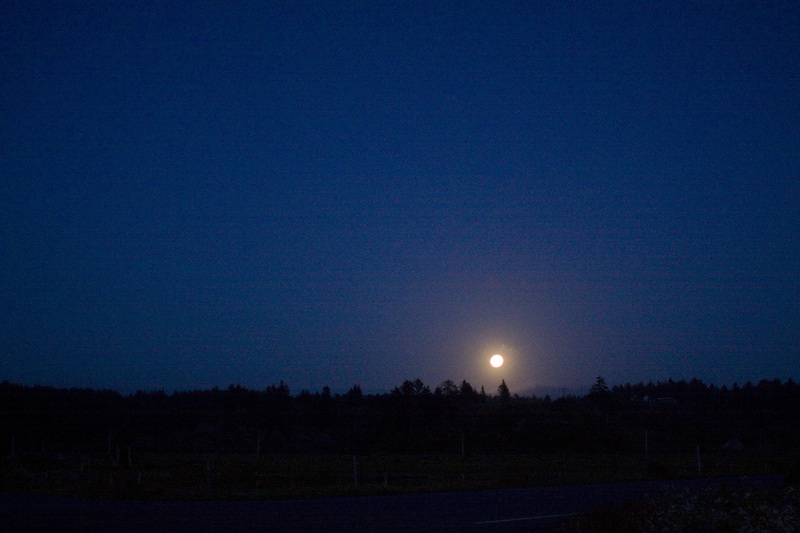 I was tempted to get frustrated that the moon was not rising when I believed it should have. I could feel myself getting impatient and I didn’t like that this feeling of urgency/impatience was interrupting me enjoying this beautiful moment. I wanted to pray that the moon would come quicker mostly because I was wrong on the timing but also I did not want to disappoint the people that I was with and feeling like I was making them wait longer than we had expected. I was the “leader” and my timing was wrong. In the end, the moon did rise and it was glorious. All the waiting, being patient, letting go, being present with the people that I was with and letting go of something I had no control over made the moon rising so much more beautiful. I feel like at this stage…I know something amazing is going to happen…like the moon rising, I can see the moon beams coming over the mountains. I don’t see the full moon itself, but a glimpse of the light. The time has not come for the moon to be fully exposed so I can choose to focus that it’s not rising quick enough or enjoy the process of watching the moonlight expose part of the mountain, the trees, the rocks. The wait, the process, will make the moon rise even more glorious than what I am seeing now or hope for”. It was fun to look at old journal entries and have myself (from 7 years ago) encourage me. It’s so easy right now to look at my current circumstances (relationships, work, dreams, etc) and want changes to happen quickly. We live in the culture of hurry up and wait. We love microwaves, drive-thru’s, instant information (a.k.a. Google). We are so used to wanting to know something or wanting to make something happen that we make just make it happen and forgot to stop…wait…and let God make it beautiful. When we try to hurry, we are in want to be in control and try to protect ourselves. Sometimes, the Lord wants us to just sit back, and watch how He unveils the story. How He will bring glimpses of light to situations to let you know He is moving. Sometimes the light seems very dim and you need to look a bit harder but it’s there, He is bringing to light, your world. Right now you may be waiting on the Lord to answer, to speak, to move…to do something!! But remember He is (even if you want to yell..move/show up faster please! ) 🙂 He may not be moving in our timing (like how I was thinking I knew when the moon should rise) but it’s true, His timing is perfect. Sometimes we don’t realize how perfect it is till the moon actually rises in all it’s glory. The moon is rising and you can’t see it yet but it is. The cool part, is the Lord makes it rise, and we get to watch it all unfold and we really don’t have to do a thing but simply be.